We’re celebrating Cinco de Mayo! 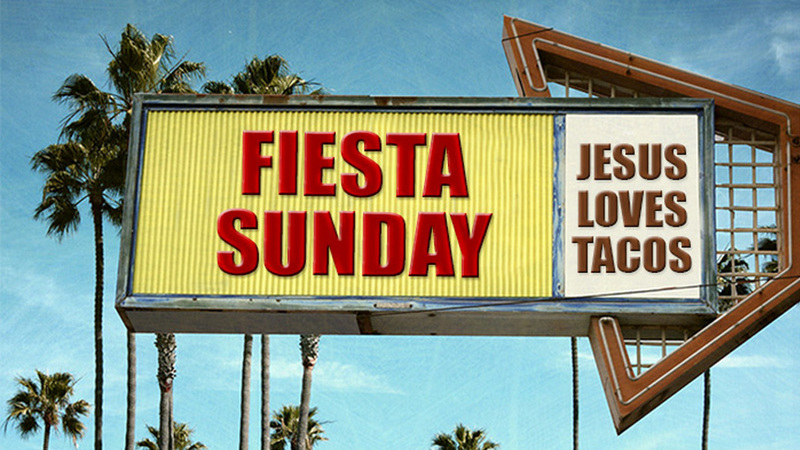 Don’t miss “Fiesta Sunday”, because we all know Jesus loves tacos. Invite a friend and enjoy a taco lunch, piñatas for the kids, and festive music. Cost is $10 per adult, $5 per child (4-14 years), and kids under 3 eat free. Tickets available at the Welcome Table or click below to buy online.